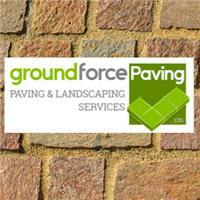 Ground Force Paving Ltd - Driveways/Patios/Paths based in Wokingham, Berkshire. Welcome to Homesure Services Ltd.
We can provide you with a wide range of professional roofing, driveway, building, and maintenance services at competitive prices to ensure your property is performing and looking its best. We offer our comprehensive range of roofing services to residential and commercial customers across Hampshire Dorset and Berkshire. With years of experience in roofing installation and repairs, our professional installers can assist you with all your property maintenance needs. From flat roof installations to traditional tile or slate, call Homesure roofing today to receive a free quote. We offers a wide range of driveway installation services across Hampshire Berkshire and Dorset - Our team of driveway experts specialise in installing new block paving, resin, tarmac, and gravel driveways. A new driveway can have a massive visual impact on the appearance of your property, having a professional installation from the Homesure team can make all the difference. We are a 5 star business, with reviews across checkatrade, trustatrader, trustpilot, google and others. All our work is guaranteed and comes with a range of manufacture and insurance warantee. Any work required will be surveyed and form quote provided, along with reference jobs available should you require. So you can be assured of a quality job everytime.